6 The Village - Hout Bay Accommodation. The stunning garden apartment has sea views and a large terrace with barbeque facilities and outdoor seating. There are two bedrooms and two bathrooms with a main-en-suite. Main bedroom has a queen size bed and second bedroom has two single beds. The kitchen, dining and lounge area is open plan. A fully equipped kitchen is available with stove, oven, microwave, fridge/freezer and washing machine. The dining table seats six with ease or eight with extra chairs. The lounge has two couches and a flat screen TV with all premium DSTV channels. Two children can be accommodated in the lounge. The apartment is approx. 90m2 and has 24 hour security. There is a heated indoor pool in the building as well as laundry facilities. 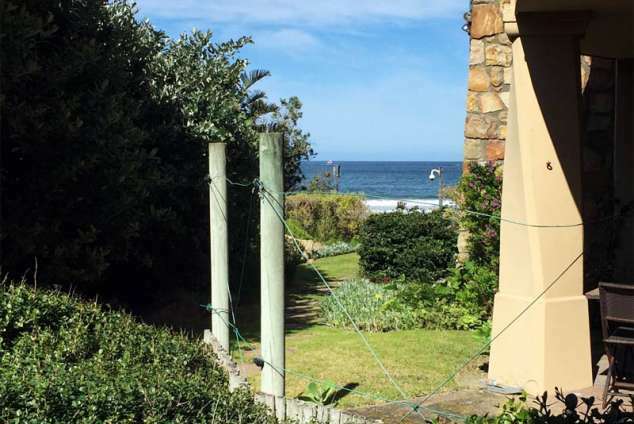 The location is very central in the Hout Bay popular beach area and within walking distance to many restaurants, pubs, supermarkets. If you do need transport Uber or local Myciti bus (card required) is available. There is a car rental in The Village block - Autorent (082 411 7292). 187 page views since 06 Nov, 2018.